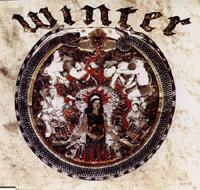 "Winter" was a New York/ Long Island based metal outfit formed in 1988 that only existed until 1991. Line up was: Stephen Flam - guitars, John Alman - vocals/ bass and Joe Goncalvis on Drums. 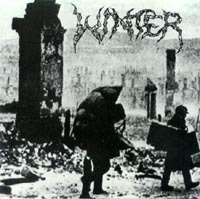 Musically "Winter" delivered a very cold, dark and frustrating atmosphere by playing extremly slow guitar riffs mixed with death grunts and some sparse keyboards. 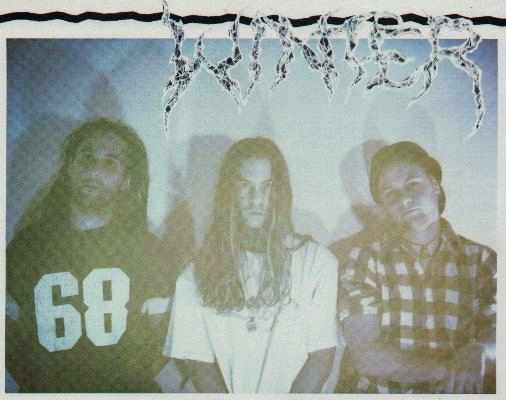 The band released only a demo tape in 1989 and recorded an album entitled "Into Darkness" in 1990 that was planned to be released by a very small label . Unfortunatly that label went bankrupt. Some peolple say that "Into Darkness" was released by the label before the bankrupt, others claim that there was no release. So in the end it is uncertain until now if there was a release or not. Shortly after that stroke of fate the band disbanded. Anyway two years later the german lable Nuclear Blast (re? )released "Into Darkness" (1992; CD/LP NB064) and the demo tape "Eternal Frost" (1994; MCD056). 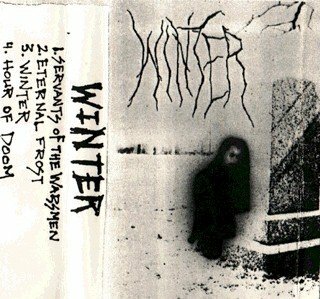 Having in mind that in the late 80s/ early 90s everyone was going for speedy Thrash & Deatmetal, "Winter" was somewhat special for this period of time and they are considered as the first band that defined the death/doom metal genre.